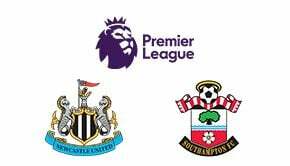 Arsenal’s revival looks set for a boost as the struggling Terriers fight for survival continues at fortress Emirates in a game few will give the visitors much chance. Arsenal are still revelling in delight after witnessing one of the most pleasing results in recent years after teaching bitter rivals Tottenham a lesson in a 4-2 win. That home feel good factor looks set to continue against a side they have not lost on home soil to since 1954, so anything other than a home win would really upset the betting site’s odds. It has been a big week for the Gunners and Unai Emery is starting to make Arsenal fans believe once again that anything is possible. The football his team has played in recent outings has been little short of brilliant. 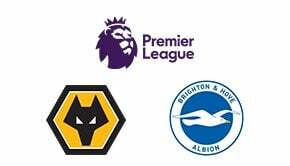 For Huddersfield, survival is once again the name of the game, but this may be one game they may have to write off as history and form is against them despite winning their last away game against Wolves. 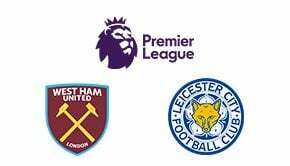 No win over Arsenal since 1971 and, as mentioned above, no win at Arsenal since 1954 is not a proud record and with the Gunners unbeaten at home in all competitions since the opening day of the season, this result is pointing only one way. 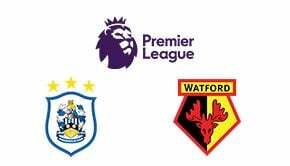 Huddersfield defence has improved of late and they have managed five goals in their last five away fixtures, but Arsenal have scored six in their last three Premier League home games as well as seven in their last two, making a 3-1 score line the best way to go in this one. The Gunners have won eight of the last 10 meetings between the two, but the Terriers have scored in three of their last four Premier League away games. Two of Arsenal’s last three home games have seen the Gunners net later than the 77th minute – with the third game seeing Arsenal net in exactly that minute – whilst two of Huddersfield’s last three away goals have all come in the second half. Huddersfield may want to look away now because the head to head does not make for pretty reading. The Terriers have only won one of the last 17 meetings between the two with the Gunners winning 14 of those games. Last season Arsenal ran riot at the Emirates with a 5-0 thumping and claimed all three-points in a forgettable 1-0 win in Yorkshire. 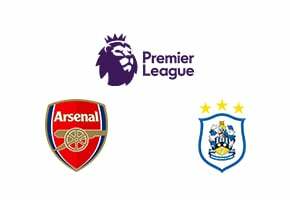 Overall, Arsenal has won 35 contests between the two with Huddersfield claiming 16 and a total of 25 draws. Huddersfield have not won away at Arsenal since a League Division One game in 1954 when they won 3-5. The first meeting between the pair came in 1913 with Woolwich Arsenal winning 2-1. Arsenal are on an eleven-game unbeaten stretch at home this season. Arsenal has won eight of the last 10 games between the two with two draws, a run that stretches back to 1971. This will be the 77th meeting between the two but only the third in the Premier League.